Works with Bluetooth V4.2. Wireless connectivity. Wireless connectivity range: up to 10 m.
Powerbeats3 Wireless Earphones are ready for any challenge with up to 12 hours of battery life to fuel multiple long workouts and powerful, dynamic sound to keep you pushing. Keep the hours of training coming asPowerbeats3 Wireless are now powered for the long haul with the efficiency of the new Apple W1 technology. Are you tired of tangled headphones?. Compatible with all Bluetooth devices. 3 hour battery life (Earphones). WORKOUT READY EARPHONES. Compatible with all Bluetooth devices and Siri & Google voice compatible. 10m bluetooth range. TRULY WIRELESS FREEDOM. Earpiece Design: Earbud (In Ear). Acoustic stomata design, high efficiency audio for headphones injected new vitality. Wireless Technology: Bluetooth. Easy to pair with your smart phones, tablets and other bluetooth enabled devices. 3 hour battery life (Earphones). Compatible with all Bluetooth devices. WORKOUT READY EARPHONES. 4 Size Silicon ear pieces included for optimum fit and performance. TRULY WIRELESS FREEDOM. that grip the ear so they won’t fall out without. Sony MDR-XB950B1 Extra Bass On-Ear Wireless Bluetooth Headphones - Black. Set the perfect sound for every song. Sony | Headphones Connect app lets you adjust your bass levels and gives you presets for club, hall, arena or outdoor style sound. Listen wirelessly over BLUETOOTH technology with NFC one touch pairing for up to 18 hours, even with EXTRA BASS tuned on. 5 out of 5 stars - Sony MDR-XB950B1 Extra Bass On-Ear Wireless Bluetooth Headphones - Black. 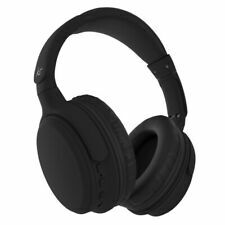 13 product ratings13 product ratings - Sony MDR-XB950B1 Extra Bass On-Ear Wireless Bluetooth Headphones - Black. 1 x i12 Bluetooth mini headphones (left and right headphones). - Wake up siri. - Turn off the Bluetooth of your phone. - Bluetooth: V5.0. - Compatible phone: Compatible with Android, ios, microsoft, and so on, Bluetooth phones. Improved design to make the 1000XM3's even more comfortable and lightweight. However, there will be. Amazing battery life of 30 hours and super quick charging so you're never without your headphones. Diaphragm : Aluminium-coated LCP. Model: i7s TWS. Then turn on the Bluetooth on your device and select “TWS” on your list, there would be reminding voice saying “connected”, then you could enjoy music or marking phones calls. It supports reporting in coming calls. Bluetooth version: Bluetooth 5.0. 2xmini Bluetooth Headphones. Use real wireless technology and enjoy your wireless sports. Supports bluetooth devices. Powerful noise de-noising circuit (active noise reduction). Deep bass allows you to turn up when you want to tune out. 【ONE-STEP PARING TECHNOLOGY】You don't need any skills to use ENACFIRE Future Bluetooth 5.0 Wireless Headphones. Take with you while you commute, workout and travel across the country - even around the world. I13 TWS headphones. Bluetooth version: Bluetooth v5.0 EDR, Jerry 5.0 solution. Bluetooth use frequency band: 2.4GHz. Pick up the automatic boot, binaural call, automatic pairing, wireless charging;. Listening to songs and phone calls, supporting listening to songs and making phone calls;. Beats X by Dr Dre Wireless Bluetooth Earphones Headphones used once. I have put on new as i only used these Once. So in brand new condition Colour is like Grey/white Dispatched with Royal Mail 1st Class. 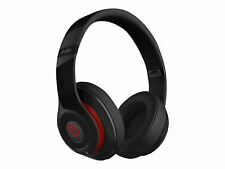 Beats Solo3 Wireless headphones. Over-ear headphones: surrounds the ear. 12 months by our supplier. Compatible with all smartphones. We are here to solve any problems you have. WHAT YOU GET. Headphones - Headphones Form Factor Headphones, Bluetooth. Headphones - Connectivity Technology Headphones - Foldable Headphones -Foldable Colour: Matte Black General - Compatibility Headphones - Integrated Microphone. 3D Surround Sound and double-cavity sound holes. This wireless Bluetooth earphone is equipped with. bluetooth headphones Lk_TE9 New Model 2019. Condition is New. This LK-TE9 Wireless Bluetooth Earphone is a wireless portable Bluetooth wireless earphone with Bullet Window Function that supports binaural calls. Finding a convenient and comfortable way to listen to music, video, or other audio media can be a difficult task for any audiophile. One of the essential pieces of equipment these days is quality wireless headphones, which can be found on eBay. Allowing you greater freedom of movement and positioning with excellent and personal sound clarity during each usage as well as potentially including neat features like noise cancelling and anti-sweat properties, they're one of the most critical elements in truly enjoying your audio media both in a group or by yourself. How do wireless headphones make connections with different devices? The most common way for headphones to make a connection with another device is through Bluetooth technology. When activated, they send out a signal to appropriate devices that allow the two types of technology to interface, forming a connection and allowing you to hear the media being played on the other device through your headphones. This often requires a confirmation from the device that you wish to connect to in order to avoid accidentally connecting to multiple devices at once. Many affordable options are available on eBay. 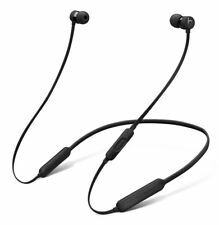 Can wireless headphones be used with a wired connection? Depending on the brand of headphones in particular, there are several wireless headphones that you can use via a wired connection. This is most likely in the case of an attached, charging USB cable, letting you plug your headphones into something like a computer to power them up. This allows you to double the functionality of your wireless headphones and listen the way you like the most in a particular situation. What is the range of wireless headphones? 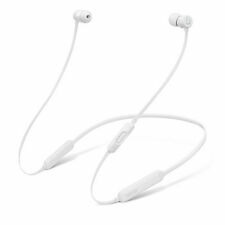 The average range for a pair of wireless headphones is around 10 metres from the device in question as this is usually the limit for the Bluetooth technology used in most wireless devices. However, certain headphones may be able to function just as well at further distances with the maximum reaching up to 100 metres for certain examples. Typically, the signal quality is likely to degrade the further you are from the source of your audio as the signal weakens the more distance you put between yourself and the device it's connected to. 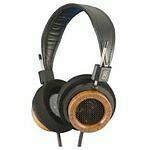 What are some brands of headphones?